I had finally made it to the lake for the first time that spring. As always there is much to do..when coming back from a winter spent away. I got set up for my stay..and we began to work on the log cabin for most of my first day back. I slept that night and pulled off another full day of work on the cabin. I decided to relax and just take it easy that night..spending it in the cabin..by the wood stove. The night was windy and not really that nice out. There was no rain, it was just cold and and damp and cloudy. I decided to go to grab a bag of blankets that I had stashed away since last fall..They were in the RV that is parked down by the lake. It was maybe 20 feet away from the lake...and ..50 feet from the cabin. I threw on a coat and headed out from the cabin into the dark..With no stars or moon I found myself almost walking blind...but.I did know the route very well and had little trouble getting there. By now..ET and UFO were a very large part of my life..as I continued to search for answers that may help me. Now that I was here a the lake again I started to keep an extra eye on my surroundings..I didnt want to be caught off guard ever again there. Half way between the cabin and the RV, I glanced at my watch. It was 12:01 am Sunday May 7th 2006. Since my encounters had started up..I was wanting proof..but had no camera... I was meaning to have one with me by now... I thought to myself...first weekend here...this year..I will not see anything.. The truth is..I was dead wrong. I made it down to the RV a few seconds later..and opened the door and went in. ..I had stayed in the RV often. I do enjoy sleeping by the lake..There is nothing like waking up..right on shore..It a peaceful awakening.. I went to the back..and grabbed my bag of blankets. It wasn't long that I was inside. It was cold..and..dark..and..no reason for me to take my time....I was in there for maybe 10 seconds. 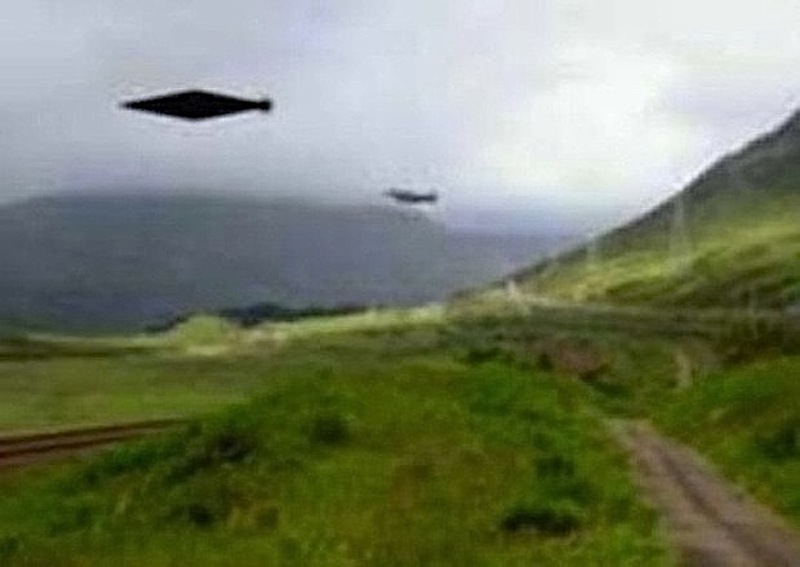 With bag in hand I got to the front of the RV and started down the steps....It was then..that I was shocked into the reality that many do not know..As I was stepping down I looked ahead and saw another elongated diamond UFO sitting directly to the west of me. It was much the same as the one last summer....This craft was close to 50 yards away..and it was bigger than the cabin..I estimate it to be between 30 and 40 feet across. It was just sitting there idly in the sky...Feelings from the one I encountered the summer before, began to flow back in. 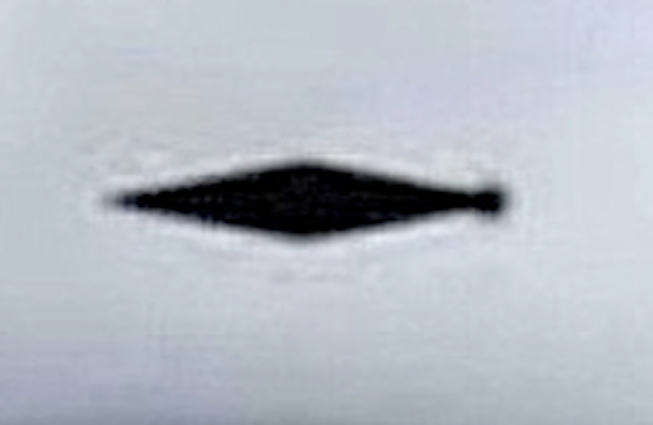 This craft was glowing white..The craft was the same as the last elongated diamond UFO..but this one had a dark circle in the middle of it. The quickest way to describe it..would be ..picture the elongated diamond for the Brazilian flag..with the sphere(planet) in the middle of it..that is how it appeared...A white glowing craft..with a large black spot in the middle of it. It took my breath away..I really did not expect this already..it was only my first weekend back! I then stepped off the RV, outside. My mouth wide open..I couldn't believe they were back..and right here again....My heart started to race when suddenly it lit up very bright..but it was only for a second..and then it did it again..and again..and again.. Adrenaline kicked in as the ship sat there in the sky..flashing bright white light at me..I almost thought it as code..but had no clue..I didn't know what to expect...This was not the same as my last close encounter with a elongated diamond craft. It almost seemed that..they wanted to make sure I saw them...letting me know that they knew I was back...My heart in my throat...I swallowed.. There was not a sound coming from this craft...I stood there facing west, watching and waiting..as this craft did nothing more than sit there..It was larger than any moon could be. It was very clear, very visible and again..like the others..so very out of place. I stared at it for a few more seconds. My mind being conditioned as everyone has..reverted to trying to explain what it could be ..of this earth..but....I knew it was them.. The craft then started upwards... towards the west...the direction I was facing...Then, like the last one.. in an instant it was as small as a tiny star. My vision was fixed on the craft. My eyes followed it as it turned towards the south. Only a second did it travel that way..and then..with speed we can't touch, it turned on a dime and shot up straight into space and gone..
My heart was racing. Almost at a running pace, I headed back to the cabin. I won't lie to you about any of this. I was scared.. My hands trembling as I wrote down a description of the incident. The uncertainty of what..was to come..kept me on edge. I laid down and shut my eyes..I knew it would be morning soon..and...I needed to sleep. I think that they were there for me.... I don't know why. I do now understand that something BIG is going to happen here on Earth.. They have always been with us...There is urgency to this...all of this..
We are so blind to everything..My instincts say an awakening is soon. I wish someone else knew what I was referring to..
Am I alone to all this? My entire life is changed because of what has happened.. I can never be the same person I was...I can never look at life or our existence the same again. I look around at our planet and see all the death we have brought. I am just lost for words to describe how appalled I feel about our ignorance and our primitive barbaric non-intelligent ways. Greed is the destroyer of man. It was now two weeks later ...I was enjoying the smell of spring..the days and night were warmer and there was much wildlife around. Still continuing to do much work on the log cabin, my buddy and I put in another full day. I was the only one still up..as I sat by the wood stove..just relaxing on the couch. I had looked at my watch earlier and knew it was around 11:30 PM..I decided to get up and go out to the front deck of the cabin..and see what I could see. There was a storm taking place...but no rain yet..there was lots of wind and the sky was lighting up behind the clouds..I stood outside..looking around..and then I looked up. I soon realized that with the wind blowing at 50 km/hr and gusts up to 80 km/hr..that these were not fireflies.. I stood there looking at them all. I was shocked at how many there were..They were not flashing but continued to glow their white light..They were flying around..in all sorts of different directions..but none would ever fly off..though they looked very random in movement...it seemed that they were in a set area..That area was pretty much right above the cabin. I was very puzzled by these. There were quite a few..around 40 of them and they did appear as small glowing spheres with white light. It was almost entrancing...as I stood there..I was outside for a while and standing there for about 20 minutes. My head pointing up to the sky. I did not see them stopping...and nothing more was happening..as they just continued to fly around..over top the cabin..My neck was sore and after 20 minutes, I decided that enough was enough..as I came back inside the cabin and then quickly wrote down what I had seen. I laid there..in my sleeping bag on the couch..by the fire...thinking about what they could be...I was trying to connect them to the diamond crafts I had seen...and even the silver disc UFO..years earlier.. I decided that it was likely a natural phenomena. I then shut my eyes...cleared my mind...and slept. I got together with a group of friends over breakfast, in the morning...I discussed what I had seen. We ...or more so "I" concluded that it was a storm sprite. I was not that familiar with them..but I was aware of lighting balls.I had seen some pictures of them and it was really the only thing earthly that I could come up with. I left it at that..as I ate my breakfast..and went to work on the cabin for the day..It would be later that night..that..I would throw out the idea of it being from a storm sprite. It was now Saturday night..and very close to the same time as the night before...when I went outside to the front deck. The weather conditions were the exact same as they were the night before.. I stepped out onto the deck.. and I could see the sky lighting up again. I never saw any actual lighting and I never heard thunder...but the clouds would light up often. I looked up above the cabin...and there they were again. This time there were at least 70 white glowing spheres..flying around in the same manner. They still never really appeared to be leaving a set area..right above. I knew that this couldn't be the cause of a storm sprite.The odds of the same place..two nights in a row. Not to mention how low these spheres were. It was not possible. The spheres may have been 100 feet above. That is far too low..for a sprite which occurs at high altitudes.. Almost like deja vu, I found myself compelled to stand there and watch these spheres...it was around 20 minutes again..I had then had enough, my neck was sore from looking up so long.. and went back inside the cabin. I wrote down the incident..like the night earlier. I thought to myself...."these are indeed strange days that we are living". The Summer was another hot one...and I kept myself busy with friends and with work at the lake. From time to time..I did venture out of province and this was the case this again.. It was August 14, 2006. I was coming back to Manitoba from Saskatoon, Saskatchewan. I was with my buddy in one truck and we had a small convoy of vehicles, that we were traveling with. It was a late start getting on the road and so it was almost dark already, as we continued driving south. The night was clear and the stars were all coming out as the last of the sunset was fading. We had a vehicle break down on the north outskirts of a town called Moosomin Saskatchewan. We had been driving behind the convoy..when we came up on one of the trucks off to the side of the highway, with a break down. The entire crew of vehicles were stopped. We checked things out and it turned out to be a flat, so we contacted a tire service repair. They were sending out a guy with a new tire to put on the truck. There was nothing left that my buddy and I could do..so we drove into town. Everyone else stayed on the highway waiting. After we pulled into Moosomin, we continued through town and stopped at the tire yard where we told everyone we would regroup at. We were in the southern part of the small town. I took it as a good time for a break. I was quick out of the truck..stretching and taking some fresh air. Afterwards I stood there..looking at the sky. The yard we were parked in, had no lighting. That allowed for me to view the whole sky..including the milky way with all its brilliance. I was standing outside for about 15 minutes..
My buddy had decided to catch a few minutes sleep so I continued to watch the sky...It is like watching a campfire..it is easy to get lost in it...My mind wanders with the stars. I had just finished looking to the northern part of the sky..and was turning my attention towards the south.. Suddenly..I saw something coming up from the horizon...It came very quickly. It was another elongated diamond craft but this was not the same as the last two. It was not glowing and it was not the same shape..The two longer skinny ends of the elongated diamond ship were cut off. There were no lights..but it was very obvious as the stars shone so bright. It had no sound as it flew overhead..and my guess for distance up would be not very high. perhaps around 150 to 200 feet. The craft was now flying overhead and with a very loud voice, I asked my buddy..."Are you seeing this one"? For as long as it took to ask the question and for my buddy who had seen things in the past with me to respond with "No" and he "had his eyes closed"..the craft had covered the entire sky from horizon to horizon. It was much faster than any fighter jets that I have ever seen. Fighters are loud..heck any aircraft is loud..this was ..silent. The most shocking part of it for me after seeing it was..I was not even at the lake where I have seen so much. I was in the middle of nowhere Saskatchewan. My mind started to think on a larger scale...I started to wonder about others that have these experiences..and I thought..how many there must be that are in my situation. My senses stayed on alert for the rest of the trip, though..there was nothing more that I saw. A Visit From The Greys Again? Summer seemed to be flying by... It was now late August...and the berries and nuts were everywhere. All the creatures of the forest were everywhere too. They were eating like there was no tomorrow. The animals were in the last heart beats of summer and knew fall and winter would not be that far off...There was much activity at the lake..with so many animals around. I had sat out by the campfire on the shoreline for the night..watching the night sky...and watching the campfire...It was relaxing...peaceful...That is how I have become accustomed to things being at the lake, most times. I was tired..and didn't have far to go to sleep..I was staying in the RV down by the lake shore and only a few feet away was bed. I had gone to bed at around 1am after making sure the campfire was done. I locked the door as I stepped in. As strange as it sounds to lock a door while you are in the wilderness..I had learned from experience that locking a door at night was a smart thing. Larger animals have ways of opening doors that are not locked. I sleep much better at the lake than I do in the city and with all the fresh air and sunshine that day, I had no trouble falling asleep. I am not sure exactly how long I had been asleep for, before I was suddenly awakened to noises. It was still night out..My senses told me that I had not been asleep for very long.. The first thought I had was, what is all this commotion? I still had my eyes shut and I listened to what sounded to activity, going on around me. It wasn't noisy, but more like a shuffling movement and almost like whispering. Being at the Parkland Region of Manitoba, I was very aware of all the wildlife. Since I started staying there in 2002, I have seen cougars, bears, bobcat, lynx..The list is long for all the type of animals..large and small, that call that region home. When I sleep and am awakened to sounds...the usual reaction is to awaken fully and become aware of the surroundings. I am somewhat of a light sleeper and have always awakened to sounds. I have learned through meditation to keep my heart beat down when I awaken..I also have learned how to not let my mind start to activate fully when I awaken to sounds. I listen and make sure it's nothing worth waking for. Then I allow myself to go back to sleep. It was very clear that being out at the lake.. one can never be too careful there. Whatever was taking place warranted my getting up to check it out. I was now waking up..My mind taking control of the situation. I began to open my eyes. It was then, that I realized that the room was full of white light. It was so bright that I could only open my eyes for a brief second till I had to squint them closed again. My eyes had needed to adjust to the brightness. What I did see were figures around me. There was others in the room with me. Everything was so bright that what I did see was blurry.. but I did see three beings standing at the head of my bed. I knew this wasn't right. There is no light sources..no electricity there. There was no way the room should be lit up so much..It was all too bright..Something was going on and I needed to get up now! I began to push myself up. I had been laying on my side..nearly on my stomach. I had managed to raise myself about a foot as I tried to push myself up with my arms. Before I could get focused on what was going on and before I pushed myself up any further, I was rendered unconscious. I was out and it was almost instantly. I was losing consciousness as I remembered my arms losing strength and dropping me. As I had said..because of the wildlife out at the lake. If there is something big around, its best not to sleep until it is gone, just to be safe. It's a sort of defensive mode I go into. I fully wake up immediately and aware of my surroundings and all the sounds going on around me. That was certainly not the case this time.. I awoke the next morning in my bed...Still very aware of what I had woke up to earlier.. I soon found I had a chipped front tooth and there was no way for me to cause it to myself in my sleep. I do teeth grinding from time to time..but it is not my front teeth that I use. Something had hit my front top tooth or something chipped it. It was the first thing I noticed when I woke up later that morning. After long consideration of all events leading up to this..I cannot say that when I awoke that night, that I was even still in the RV when all this occurred.. Considering the way it all took place. I have started to accept that I may have been on board their craft once again. I do not think that I was suppose to wake up while with them...Just like the other times when on board crafts.. For some reason..I did on those occasions. My life was changing even more...ET was very much a predominate part of my being at the lake. The next summer was uneventful..and I was grateful for it being that way...That is not to say that I didn't see anything..I did..but..it was nothing as close as most of my other encounters had been. It was July 15, 2007 and the night sky was out. There were no clouds..and it was a calm and peaceful night. I was sitting around with a group of friends on the waters edge, at the lake. We had a campfire going as I stood there, looking up at the stars. As I always do when I am there I was soaking it all in..and enjoying everything out there at the Parkland Region. I suddenly noticed something very strange in the sky to the southwest of us. There was an object flying across the sky, coming in from west and heading east. It was flashing a white light as it continued to travel easterly. At first I thought it was nothing more than just an airliner. It took around a minute for it to get to the direct south of our location. I kept watching it as it continued to move.It became apparent it was not a jet as it suddenly just stopped moving. It stopped for three to four seconds then it started to move upward as it seemed to almost zigzag on it's way up. I thought I was watching it alone..as my friends seemed caught up in discussion..and with this object being so far away..I didn't want to interrupt them. When the object started to zig zag upwards..It surprised me and I quickly looked over to my friends...One friend was looking at me and could tell that I wanted to point out the object. I said..are you watching this too? She responded with "yes". She said..in a more stating than asking way.."Its not a jet, is it"...I responded.. "No..It sure isn't". The object continued to appear to climb higher..It climbed a fair distance and then it stopped moving one again. It sat for a couple seconds not moving and then started back towards the west. The same direction as it came from. It's speed was at a very noticeable increase. It continued on west and then it disappeared. It did not fade away from distance...but it simply vanished. The entire time we saw this object it never stopped flashing..The entire sighting lasted around 2 minutes. It was April 8, 2008. Winter was passed again and spring was in the air. Just like every spring in the many years of my life, I was very happy to have it back again. The snow wasn't gone from the lake yet. there was still a couple weeks of melting left. I didn't care though..snow or no snow..I was happy to be out..and up at the lake. I found myself waking up to a beautiful sunny day. After a quick coffee...I started to work around the cabin...and spent most of the day with my buddy working on things. It was around two in the afternoon when I decided to go outside..and clean up the wood pile out front of the cabin and get some wood for the wood stove. It was still a nice day out..There were a few clouds..it was still mostly a deep blue sky. I was digging around in the wood pile. After a few minutes..I had a sudden urge to look up. I stopped what I was doing..and stood straight up ..shifting my gaze to the sky directly in front of me..and ..above. There was a patch of blue sky..where I looked..and I only had to look for a few seconds.. In an instant..there was suddenly a silver craft ..right where I was looking at. It had come in so fast it was only a blur..and..it stopped instantly on a dime...The silver craft appeared to be like three silver spheres joined together..with two on the bottom and one on the top. I sensed that it had a lot of energy. More energy than we use for space flight.. It was vibrating back and forth like it was so strong it was hard to control. The vibration much like you see with a guitar string, when plucked. The craft hovered there..vibrating for around 5 seconds and then..with speed that I have only seen with other past close encounters...this craft zipped off! It was a blur in an instant. Every time I see this speed..I wait for the sound that should come...but it never does. After reporting the encounter to Brian Vike...as I had with my other ones..I began to think about..how I "knew" to look up when I did. Not only that but..I knew exactly where to look. It was then..that the connection was realized by myself..I was most likely carrying an implant of sorts.. Still to this very day...I find it hard to accept the possibility that I may have one. There is still more to come..that would bring the truth of this matter to the forefront, once again, with Part 4. In the beginning when you say you have that feeling that something big is coming...you are NOT alone in feeling this way. That feeling has gripped me for the past 2 years and continues to grow stronger with each passing day. Clearly, something life altering and earth changing is going to take place very soon. As for the knowing to look up to see the objects, I have experienced that as well. 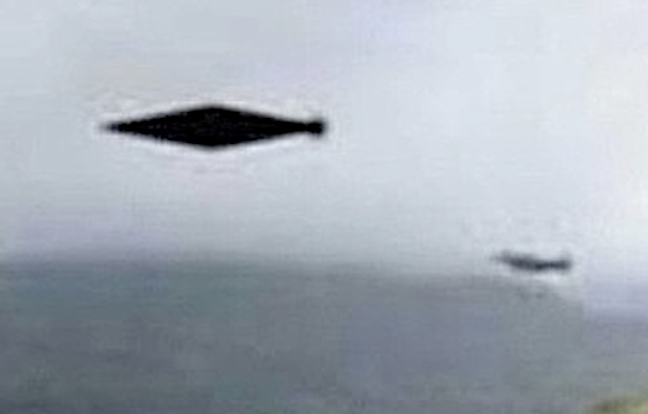 In the last year, I have seen 3 different UFOs, my first being only months ago. 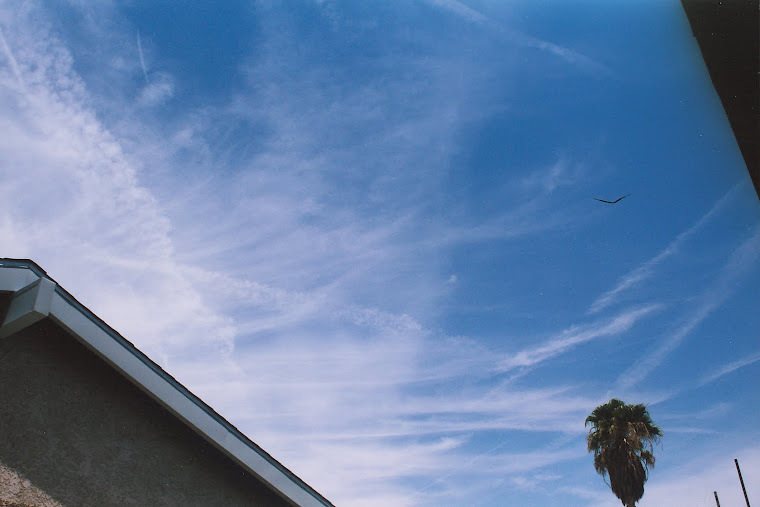 Each time I had a strong impression to look up at the sky. That's when I would see these objects. I have no recollection of abduction but, don't discount it either due to some odd memories from childhood. Thank you for sharing your story with us. Hopefully, you have opened some eyes and made a few others realize they are also not alone. Blessings! 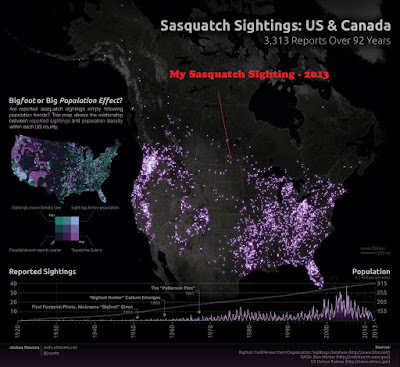 It is most refreshing that the Grays are about 'abductions' but instead many are 'taken' for a short while as an inspection opportunity, health examinations, to determine how changes in the environment are affecting us. The Grays and the Galactic Community are concerned to the level of degradation imposed on all species. The 'Grays' are 'Custodial Caretakers' with an acute awareness in 'spiritual' reality and how we all are 'related.' Not only are they greatly advanced in technology, spirituality, but also inter-dimensional awareness. We are held captive to the concepts of 'Free Will', and others in our solar system, and Galaxies are to observe the 'Prime Directive' of direct non-intervention, non-interference. It is the overall plan and directive to bring Earth up to speed, to join the Galactic Federation and advance life, interplanetary cooperation, participation and realize a much higher level of the Human Experience. Due to 'Free Will' Humans are required to first elevate their own progress of 'benevolence' within our own planet, our cultural groups and combine our unity beyond what we perceive currently. "Intervention 'will' commence when we allow the Earth's biosphere to degrade irreversibly. It all became very serious with 'nuclear' introduction to our warring mentality. So, yes, intervention is progress that Humans can expect...and not in some distant future." I was abducted in 1961....I only started talking about it 4 months ago. I just finished my 3rd regression. I can only share this with my therapist doing the regressions and Dr. Harry Willnus, the man that started me on this journey. Healing begins when someone bears wittness and for me that meant Harry. I would love to be able to discuss this but I fear the doubters. @Anonymous abductee..If you wish ..you may contact me and we can talk..I may be able to help you overcome your hurdle..
Know that you are not alone...and we all carry the burden. Email me..at the addys on the site here. I feel that ETs will come and help us technologically or put us into extinctio.